Skinny Denim in Bell Bottom Form - Don't Be Scared. I love my skinny jeans, I live in my skinny jeans, but it must be the sun because I want bell bottom jeans. Not just any bell bottoms, it has to be the skinny leg flared out dark denim kind. I used to have a slight fascination with the 60's. In my teenage years I listened to the music, asked my mom to tell me about her teenage years and even borrowed some of her clothes. That maybe why every few years I get a little nostalgic for the whimsical pants. Emersonmade: The American Flag vest & the dark denim = a match made in rocker heaven. 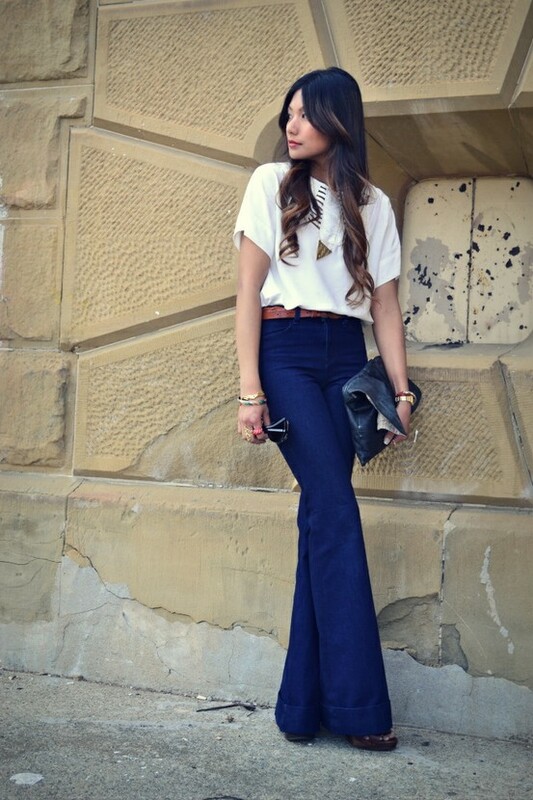 A modern top makes the bell bottoms perfect for present day. The only problem I encounter as a petite girl is the length. You can't really hem bell bottoms, it will lose all its flare. 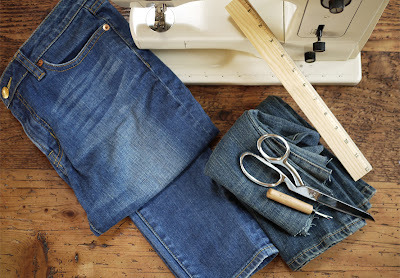 If height isn't a problem, then there are some great looks at Madewell. But if you're like me and have a hard time finding a pair that fits your small frame then Honestly WTF has the perfect tutorial for you. DIY Bell Bottoms. Wow great looks!!! Thanks for the post!!! crazzzyyy. the girl in the plaid and dark denim is posing in SF in the neighborhood right next to mine!!! love the look and post!